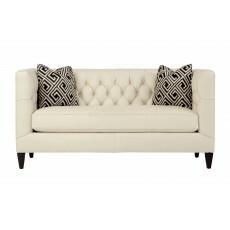 From the nail head trim to the Spring Down cushion, every detail has been carefully crafted to ma.. 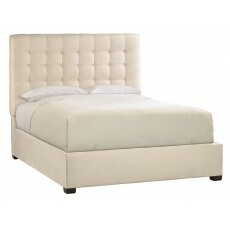 Fully upholstered button-tufted headboard, footboard, and side rails. Espresso finish on feet. 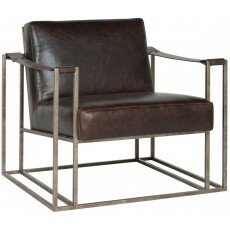 ..
Dimensions: W59 D36 H33 SH18.5 AH33 ..
Tubular steel frame in Patinated Brass finish. 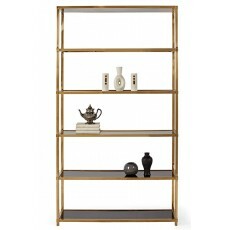 Five wood shelves in high sheen gloss Black finish.. 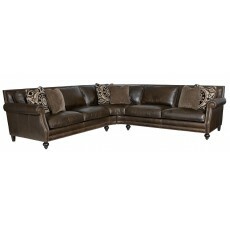 Pieces Shown: 6892L Left Arm Sofa, 6891L Right Arm Sofa Dimensions: W119 H35 .. 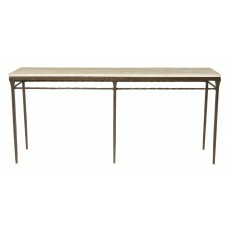 Product features: Flat cut white oak veneers Weathered Sand finish Two wood-framed door.. 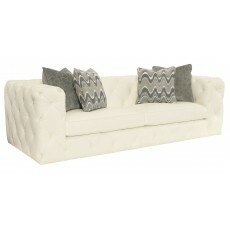 The elegant Candace Sofa features 4 decorative throw pillows and luxurious spring down cushions. 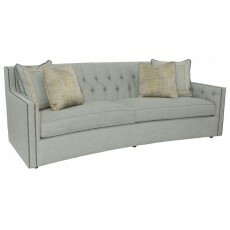 ..
Luxurious tufting, soft Spring Down cushions, and 3 Blendown throw pillows make the Chelsea Sofa .. 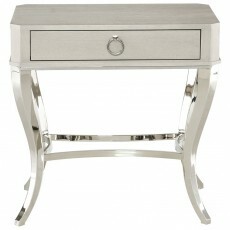 Crystal white stone top with solid steel frame in Champagne Silver Leaf finish. Dimensions:&n.. 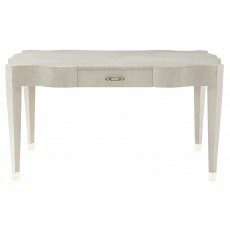 Crystal white stone top with solid steel frame in champagne silver leaf fin.. 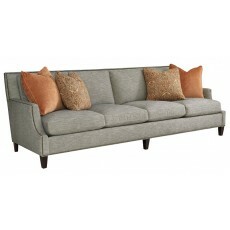 Both cozy and sleek, the Crawford Sofa is the perfect place to cuddle up with a book or to entert..
Heather Gray finish. 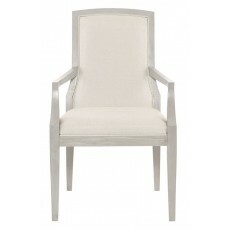 Upholstered seat and inback with welt. 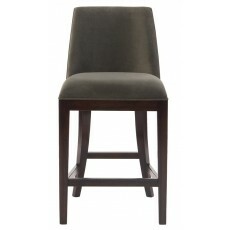 Upholstered outback with exposed wood..
Ash solids and quartered ash veneers. 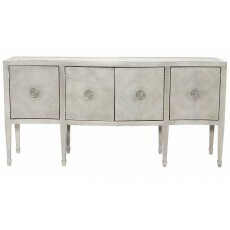 Heather Gray and Pale Ivory finishes, all exterior wood sur..
Ash solids and quartered ash veneers. 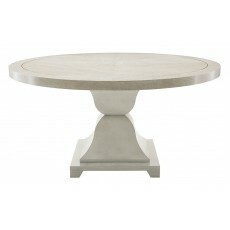 Heather Gray finish. 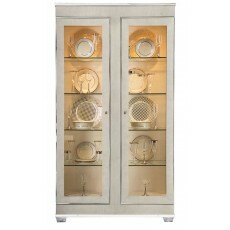 Twelve drawers. 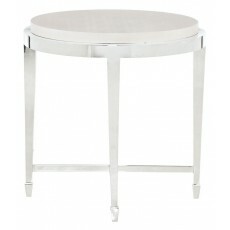 Stainless steel metal ..
Bonded leather covered surfaces in Heather Gray finish. Lay-on tempered glass top. One drawer. 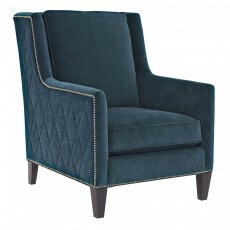 ..
Upholstered slip seat with welt. 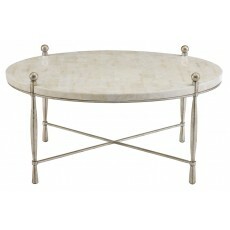 Tubular steel base with stretchers in Radiant Nickel finish. 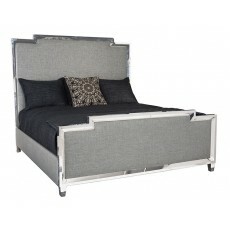 ..
Open fretwork frame of solid and tubular steel in Radiant Nickel finish with beveled mirrored gla..
Metal headboard and footboard frame in Radiant Nickel finish with inset upholstered panel. Di..
Ash solids and quartered ash veneers. 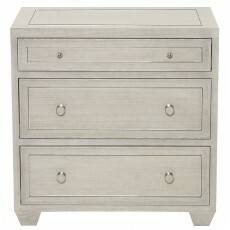 Heather Gray finish. One drawer. Dimensions:..
Ash solids and Quartered Ash veneers. Heather Gray finish. 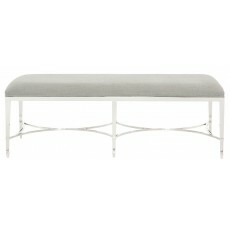 Fancy face top with stainless steel me..
Bonded leather top in Pale Ivory finish with solid and tubular steel base and "X" shaped stretche..
Heather Gray finish. 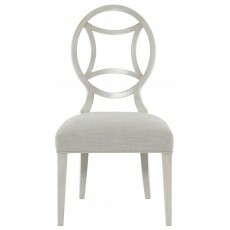 Upholstered seat with welt. Wood splat back. 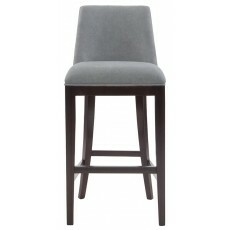 Dimensions: W21 ..
Ash solids and quartered ash veneers, heather Gray finish. 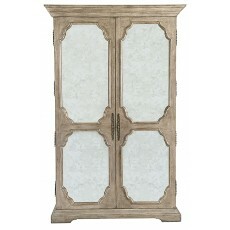 Behind end doors is one adjustable/rem..
Ash solids and quartered ash veneers. 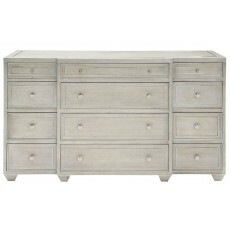 Heather Gray finish. Three drawers. 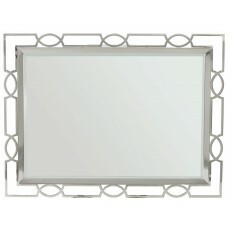 Stainless steel metal i..
Upholstered headboard frame with welt and nailhead trim. 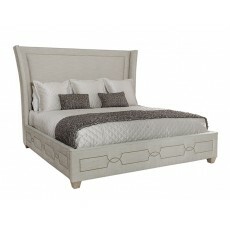 Upholstered footboard and side rails wit..
Dimensions: W31 D31.5 H30.5 .. 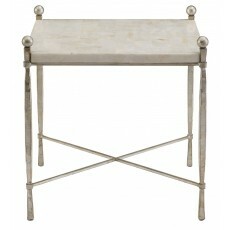 The Desmond Console Table is stunning with its White Agate laminated stone top and solid steel ba.. 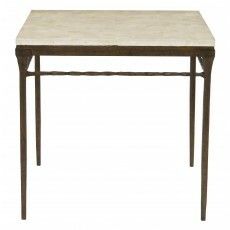 The Desmond Chairside Table is stunning with its White Agate laminated stone top and solid steel ..